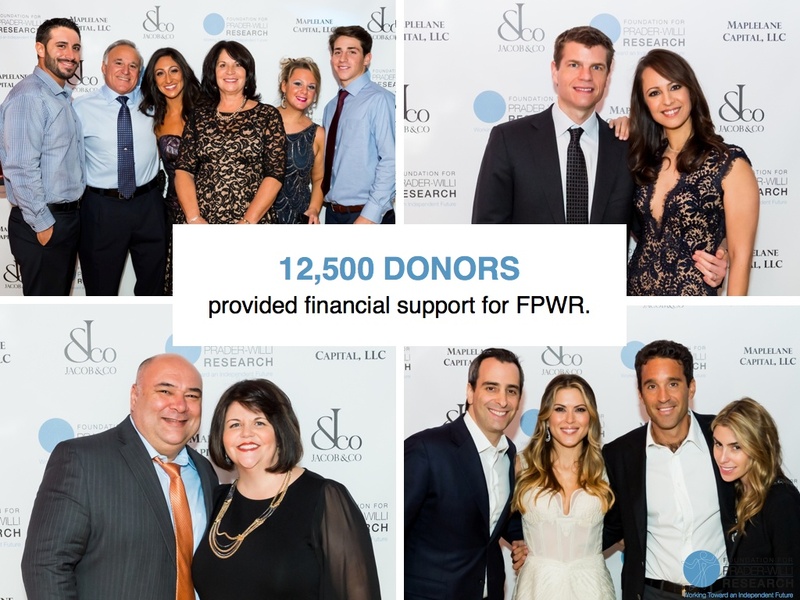 In 2014 FPWR proudly supported 20 projects and initiatives! 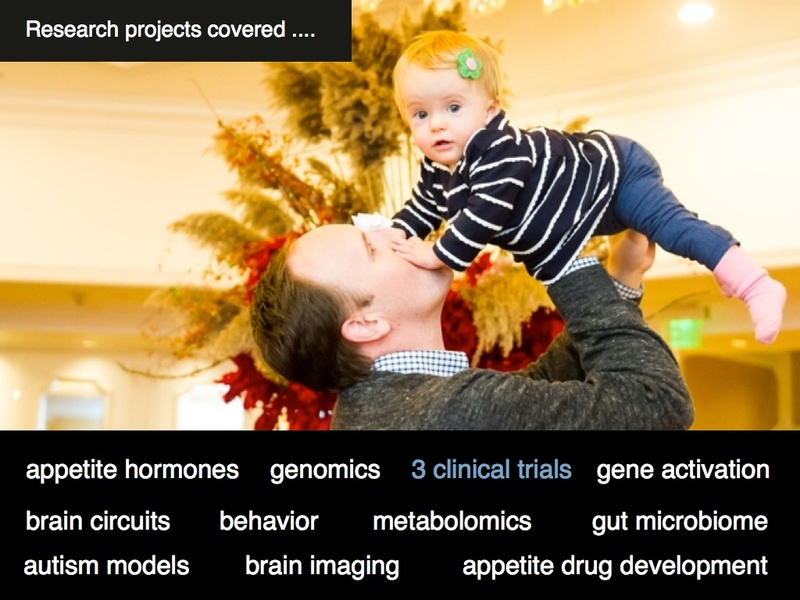 Thanks to the keen guidance of our scientific advisory board and volunteer review panel, this portfolio of projects represent the best ideas in the world and will advance the science of PWS as well as work towards the development of novel therapies for those impacted by the disorder. 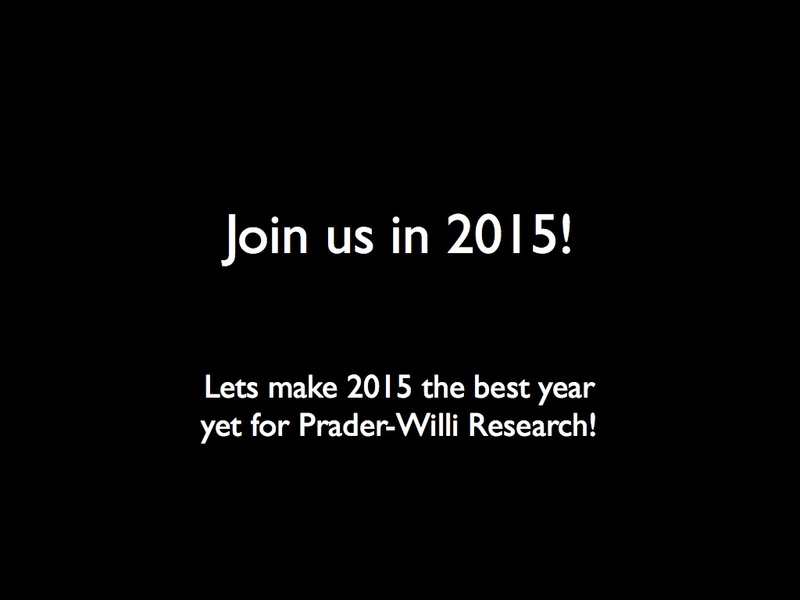 As you know, several clinical trials are currently underway in the U.S. and the Global Prader-Willi Registry will be ready for launch in early 2015. There has never been a more critical time for PWS research. Several records were broken this year on the fundraising front with the 9th annual DC Golf Tournament breaking $220,000, the One Small Step walk series attracting more than 10,000 participants and raising a whopping $1.5 million and the 2nd annual NYC Live Life Full gala also attracting more than 500 participants and raising over $1 million in donations! Because of your efforts, your networks and your commitment, we will be able to fund even more worthy projects in the coming year! 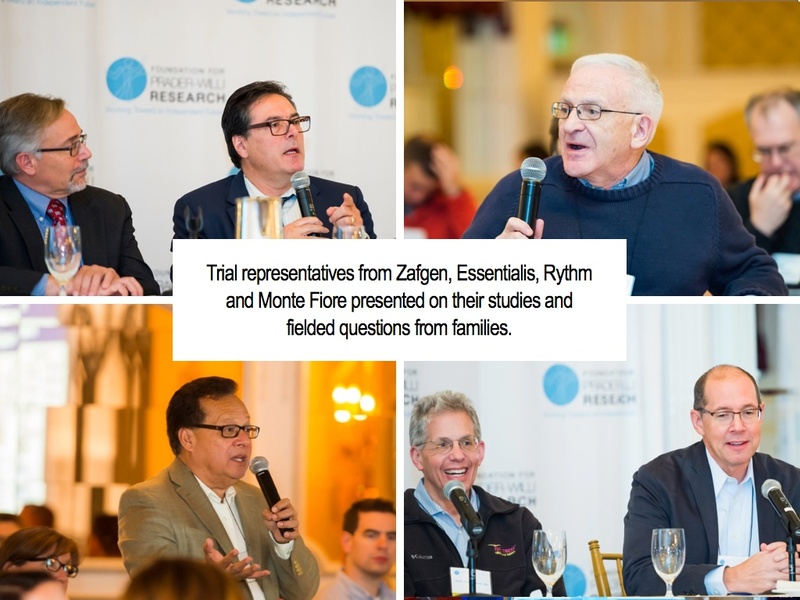 The 2014 FPWR Research Conference held in Garden City, New York this past November was a great success. For the first time our families were able to engage one-on-one with representatives from Pharmaceutical companies that have a deep interest in bringing treatments to market for our children. The weekend was full of educational opportunities, networking and, most important, community-building amongst our families. 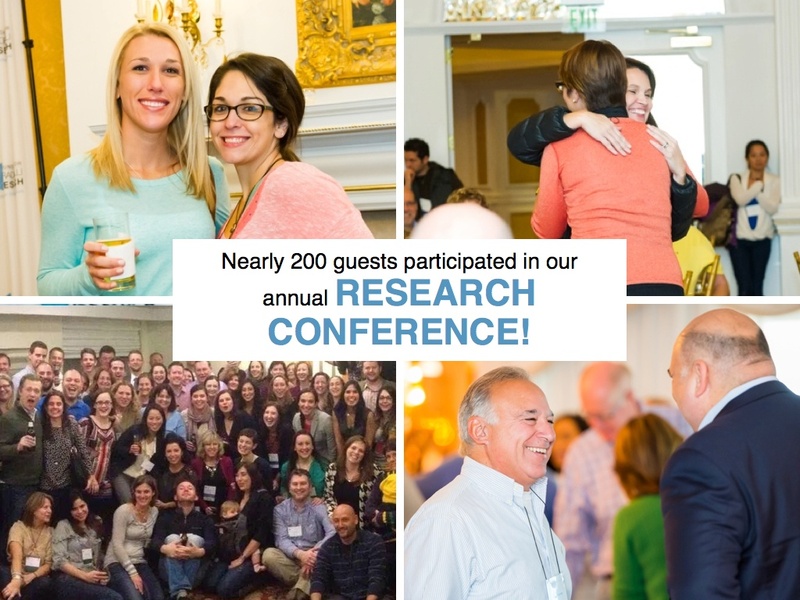 It was an incredible weekend and I hope you will join us next September for the 2015 FPWR Research Conference in Austin, Texas! 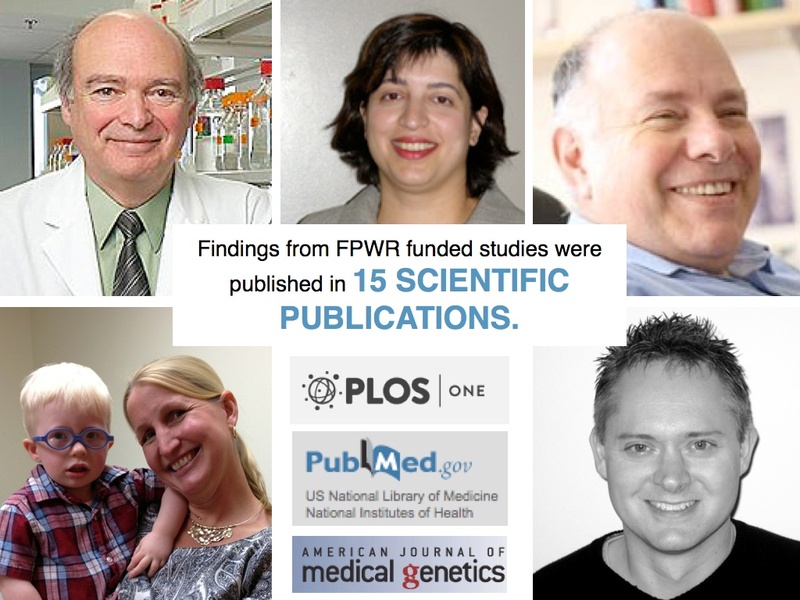 FPWR continues to be the driving force in PWS research because of YOU. On behalf of our staff, the board of directors and our children living with PWS, I thank you for your incredible commitment this year. Watch our Year In Review Video! 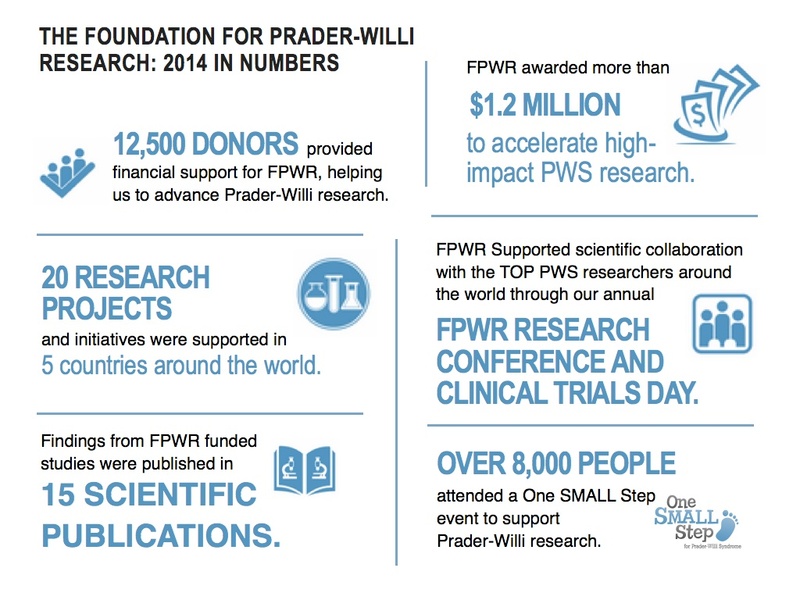 The Foundation for Prader-Willi Research.